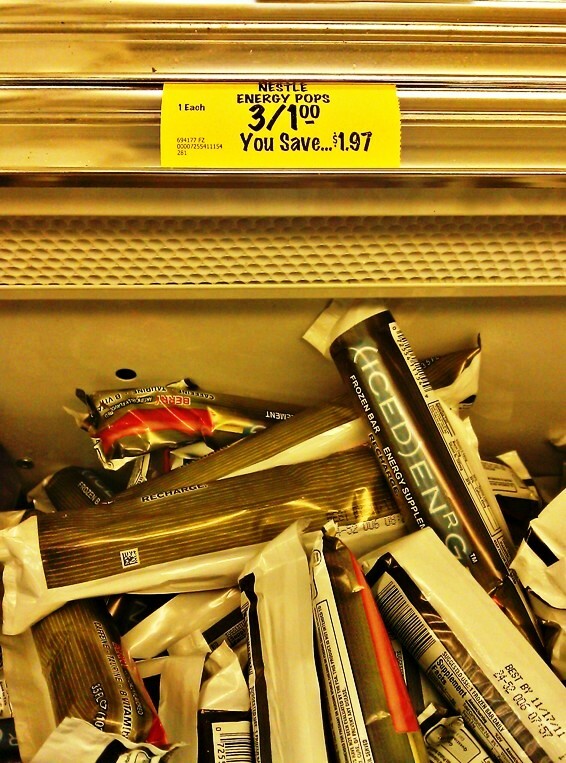 In the meantime, I picked up this frozen bar last week and spent sometime researching it. This is a bad habit from my college days, with just a dash of obsessive-compulsiveness mixed in. Who made this product? Why is it only 30 cents? 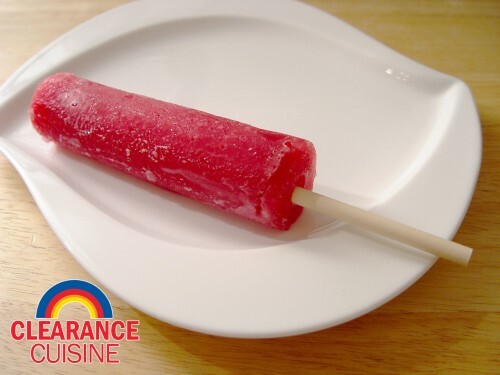 Who in the world thought an energy popsicle ice pop (Popsicle is a brand name) was a good idea? I could probably make it as an investigative journalist, but I’m afraid I’m much too non-confrontational and timid to do anything like that. 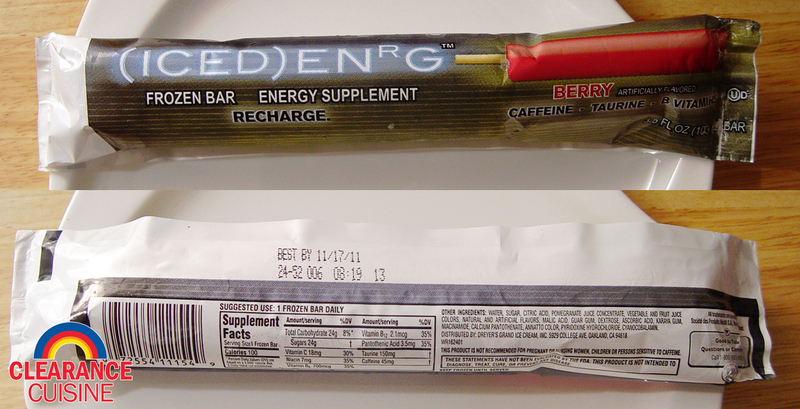 Curiously enough, I found no official product page from Dreyers/Nestle (the maker of the product) for the (ICED) ENrG. The only references I found online were some other reviews (linked at the end of this article) from late 2010. A couple of these websites also mention the complete lack of marketing. I ever went as far as emailing Nestle last weekend for an answer but no response yet. It’s apparently one of those products that’s been banished to the product marketing black hole. Keeping this in mind, I wouldn’t be surprised if a huge batch of these were produced in late 2010 (perhaps around November, judging by the best buy date) and quietly phased out shortly afterward. The (ICED) ENrG pop is “berry” flavor, though whether that’s raspberry, blackberry, blueberry or the ever mysterious mixed berry, is up for discussion. 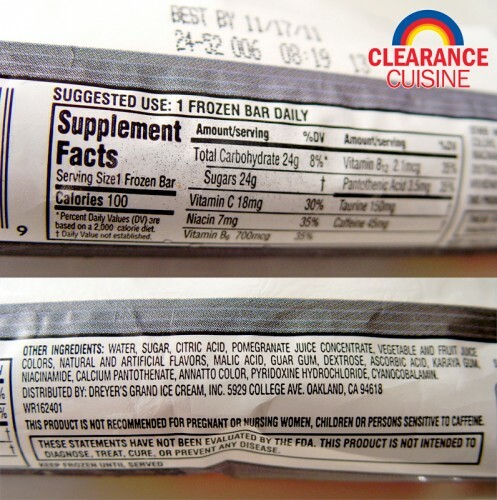 but the ingredient list only includes “pomegranate fruit juice concentrate, vegetable and fruit juice colors” and “natural and artificial flavors”. Fun fact: see “Karaya Gum” on the ingredients? Wikipedia notes it’s “used as a thickener and emulsifier in foods, as a laxative, and as a denture adhesive”. The pop is slightly larger than the norm, with a plastic stick instead of a wooden one (and no eye-roll worthy jokes either) and it tastes like pomegranate-raspberry followed by a slight chemical-like bitterness, most likely from the energizing additives. If anything, it was a strong recollection of chomping down on a purple Chewable Flinstones multivitamin as a kid. Nowadays, kids are spoiled with gummy vitamins, so they’ve never had to deal with that acrid, medicinal flavor of lots of vitamins and minerals attempting to hide in a sugary package. 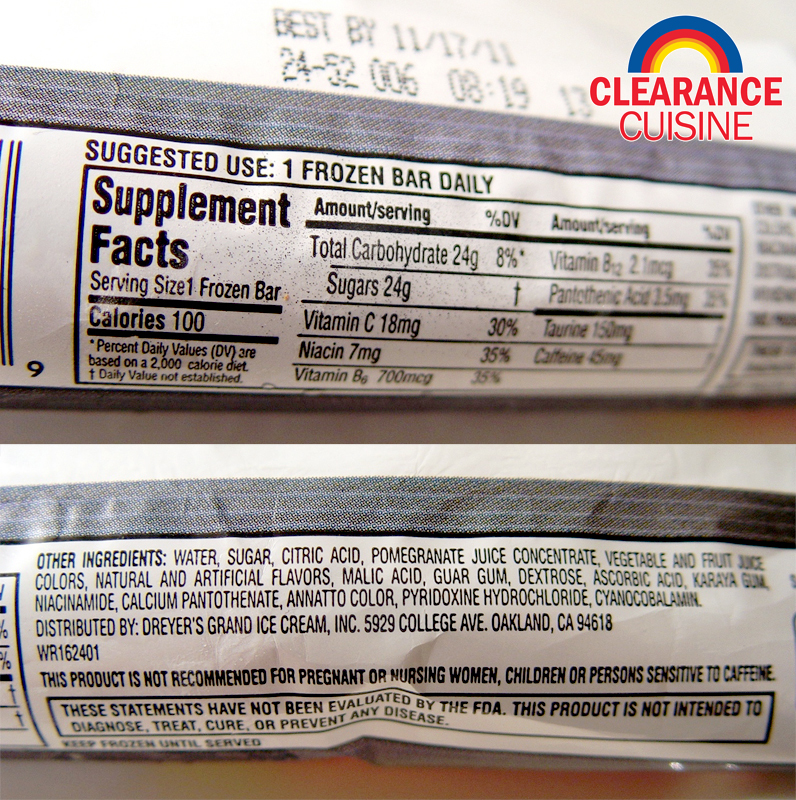 The back recommends “Suggested Use: 1 Frozen Bar Daily”. 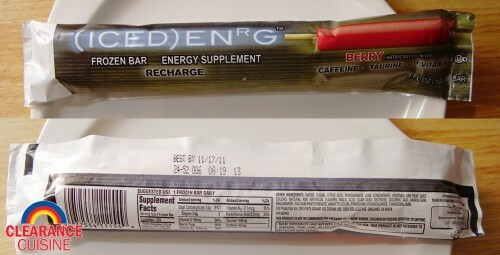 (ICED) ENrG also warns that it’s not recommended for kids of pregnant women, though I can’t see anyone other than a kid trying to get a serious energy boost from something like an ice pop. At 24g of sugar (equal to an 8oz glass of orange juice) and 45mg of caffeine (same amount as a Diet Coke), you’re probably better off sticking to your morning joe than unwrapping this sticky mess. 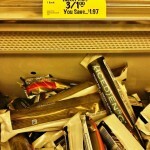 This entry was posted on Monday, October 31st, 2011 at 1:01 pm	and is filed under Food. You can follow any comments to this entry through the RSS 2.0 feed. Both comments and pings are currently closed.